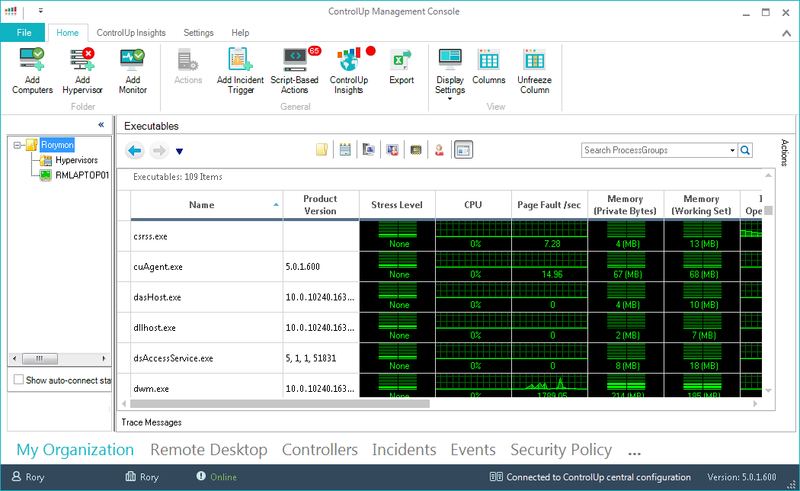 ControlUp is a unified management console for systems in your environment. You can use it to monitor live data from your XenApp or XenDesktop environment, or any other systems running Windows OS. ControlUp is a unified management console for systems in your environment. You can use it to monitor live data from your XenApp or XenDesktop environment, or any other machines running Windows OS.